A British woman has been sentenced to three months behind bars in Dubai after a brawl in a hotel - despite saying she played no part in the violence. Ex-pat Asa Hutchinson, 22, was in a hotel lobby when she and her pals spotted a drunken Swedish computer executive asleep on a sofa. The man, 54, woke up and tried to attack them when he saw they were taking pictures. He suffered a broken nose in the fracas that followed on April 29, 2016, but the defendant said her only involvement was putting his glasses in the bin. Asa's mum has accused authorities of finding her guilty by association after the defendant was convicted in her absence. Asa was charged with assault and theft after her friends returned home to the UK and the victim chose to transfer the charges to her. But more than two years after the incident Asa, has now been handed a three-month jail term by Judge Habeeb Ahmed Awad at Dubai Criminal Court, according to Abu Dhabi daily newspaper, The National. She was sentenced in her absence as she has already returned home to Chelmsford, Essex, in the UK. The court was told the row started when the group of her male friends began taking selfies with him after he had fallen asleep on a couch. The man was awoken by a slap to the face by one of the group and found them surrounding him whilst laughing, the court was told. When he woke up, the enraged man, who is a technology company executive, followed the group outside the building and threatened to call police. Following the incident, Dubai police questioned Asa's boyfriend Ben Hall and others in the group after getting their names from the hotel reservations list. The men managed to get their passports back by paying cash deposits, before flying home to the UK. The Swedish man then made the decision to transfer the charges to Asa after learning she lives in the UAE - making her responsible under Dubai law. The country's legal process dictates that whoever makes the first complaint is the party most likely to be believed, so it may be irrelevant that the Swedish man threw the punches. Asa, who works as a key account manager for global transportation company Time & Motion, was released on bail before being sentenced. Speaking previously, she said: "Going to prison would be awful. I just couldn't bear it, I really hope it doesn't get that far. "I want to thank everyone around the world for the messages of support I have been getting. "I also want to tell my mum and dad, Lucie and Iain that I love them and miss them very much." Asa's mother has previously defended her daughter, saying she is "absolutely and completely innocent". 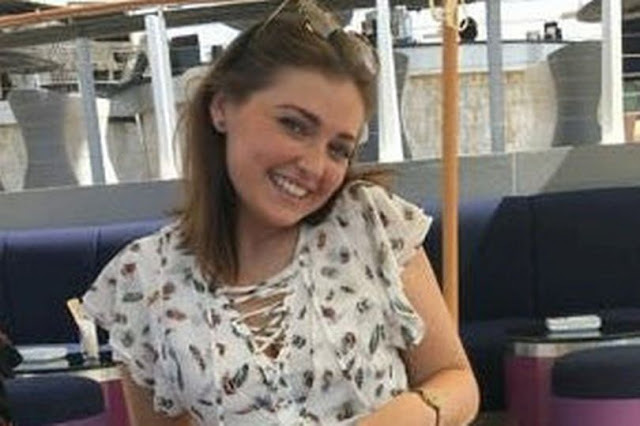 Lucie Harrison, 52, said: "Asa is absolutely and completely innocent- she was there at the time but all she did was pick some glasses up off the floor and put them in the bin because she was worried someone would step on them. "What I find really upsetting is that Asa has not turned her back and run away- she was saying, I've done nothing. "She's really taking the rap, those guys in Dubai really seem to do things by association, I just find the whole thing so shocking." Speaking previously, Asa said: "It is so unfair, I was not involved, I just happened to be there, but the police are not interested in anything I have to say. "Once the man made his complaint it was taken as fact. I can't go to jail, I couldn't cope." Asa's dad, Iain, also previously publicly appealed to help her daughter be brought back to England. He added: "This older guy was the one hitting everyone, he ought to know better at his age than getting into drunken fights with kids. "And now he can't throw his weight around and get them into trouble, he is picking on my young daughter." It was previously reported Ms Hutchinson was forced to sign confession papers written only in Arabic or be jailed immediately, her lawyers claimed. Her representatives said she was put under "extreme pressure" to sign lengthy legal papers written only in Arabic when she was arrested last April. In a statement previously released, Ms Hutchinson from Chelmsford, Essex, said: "I was told to sign the papers, or I would be going straight to prison. "By this stage I was terrified. I had no choice but to sign those papers. I was so scared of prison."